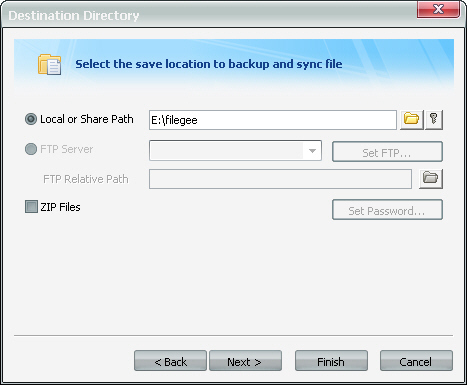 The location for saving file is sorted by local and FTP, you can set the destination location here.The related settings are the same as the previous step"File Location for Backup". You can compress the backup files to save disk space. For compressed files, you can also Set Password to protect.